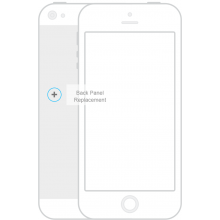 Taking care of your damaged iPhone 6 plus and 6s plus is what is important to us. Our reputation is built on the highest quality repairs and excellent customer service. We only fit the highest quality parts to all repairs. We have over 6 years experience in this field, so you can relax and let us return your iPhone to you in working order. If your iPhone 6 plus or 6s plus is not charging properly and is not recognised by iTunes, this repair is right for you.